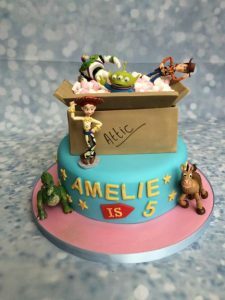 Paw Patrol is on a roll… with Marshal as the leading character this is a wonderful cake for any little fan. 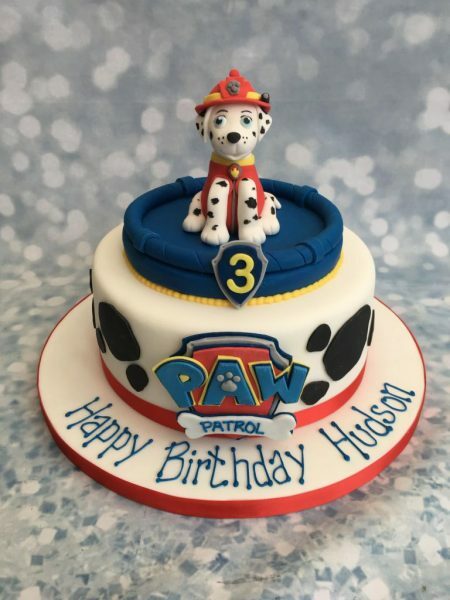 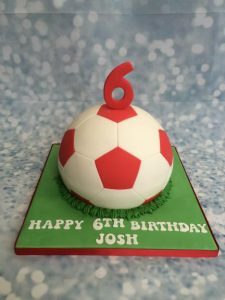 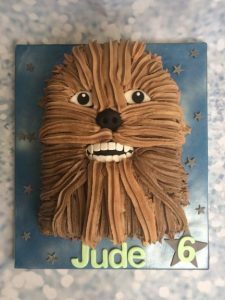 An 8″ round cake decorated with Dalmatian patches and a handmade Paw Patrol logo. 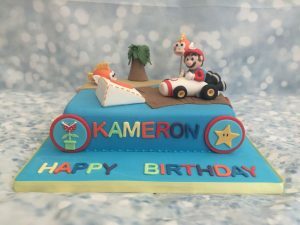 A blue, non-edible top tier has been created with a handmade Marshal.